For Christmas every year my family typically has ham instead of turkey. I grew up thinking that was just what everyone did, but as I’ve gotten older it seems like more and more people consider Christmas a turkey (or goose) holiday as well. Ham at Christmas is a great idea, if you ask me. It changes things up a bit from Thanksgiving, and just like that turkey, it makes for some pretty delicious sandwich leftovers in the days following the holiday. One thing that could potentially make that holiday ham a little better: bourbon. 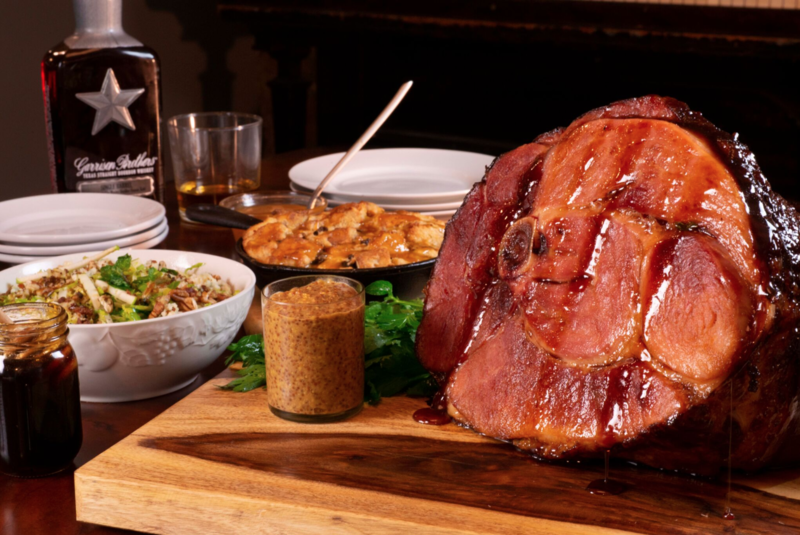 I traditionally enjoy my holiday bourbon in a glass rather than on my food, but Garrison Brothers recently passed along a recipe for ham using its bourbon that is definitely worth a look. The instructions are pretty simple, and the end result sounds delicious. 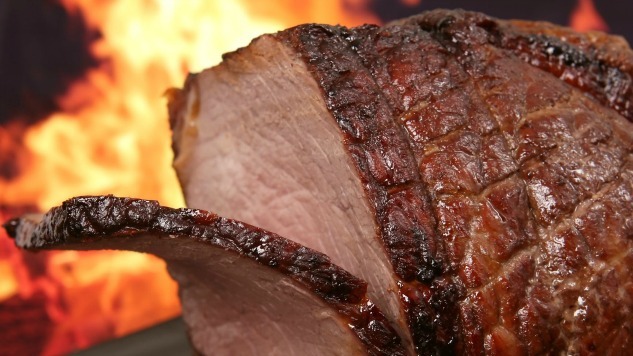 Directions: Preheat an oven to 275 F. Cover and place the ham in the oven for 2 hours, or until heated through. In a small sauce pot, mix together the Garrison Brothers Bourbon, molasses, brown sugar, Dijon mustard, cinnamon and cloves on medium heat for 2-3 minutes, or until the sugar is dissolved. Once the ham is heated through, glaze the ham and turn up the oven to 350 F. Bake uncovered for 30 minutes for the glaze to set.